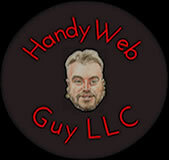 Rescue - Handy Web Guy LLC "At Your Service" - Custom Web Platforms Built Just For YOU! It's 9PM...Do you know where your domain is? Your webmaster seems to have gone MIA? Can't make changes to your website? No way to access your hosting? Switching hosting and can't get into your domain control panel to change name servers? Feel like you lost control of your web platform entirely? Your web service / domain renewal cost too high? We have helped rescue websites, domains and log-in details for many clients. Also often saving significant fees for them as well. Your login and authorization credentials are confidential and privacy will be respected. PLEASE NOTE! We will not request any more information than is needed to recover the web assets and to whatever your comfort level is. Please contact us at 206-773-3001 or send us a message for immediate assistance.